Whether it’s for a bachelorette party or girls’ night out, drinking wine and painting is a great way to spend time with family and friends, get creative and enjoy a tasty beverage. 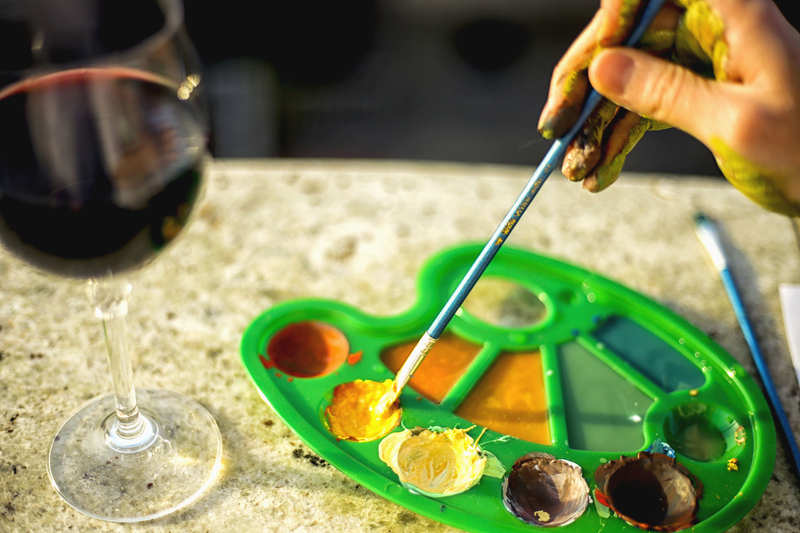 With the tips below, you’ll have the skills for throwing the perfect wine and paint party. Let’s start with the first part of the party — the wine. People have different palates and like varying flavors and dryness of wines. Make sure your guests have the choices they’re looking for, from reds to whites to rosés. And, don’t forget non-alcoholic beverages, such as sparkling water, soda, juice and tea, for alternative drink choices. Preparing some light appetizers and finger foods provide your guests with scrumptious morsels to snack on in-between brush strokes. Asking guests to bring dishes to pass can also add to the communal feel of the gathering. Serving the tasty treats on small plates makes them easy to carry while guests move about and mingle with each other. Another fun option is to create or find a playlist of tunes that cater to your party and project. An easy way to have a DIY wine and paint party is to use stretched canvas, which can easily be painted on with craft, acrylic or oil-based paint, and once dry, can be hung virtually anywhere in the home. Generally, a 16″ x 20″ canvas is the perfect size for most projects. Purchasing a bulk mixed bag of brushes, as well as bulk paints, is an easy way to be economical and provide your guests with the materials they’ll need to become the next Picasso. Lay down large sheets of paper or drop cloths on your work table to protect it from errant paint splatters — or spilled wine — and then set up a painting station for each guest. Now you’re all set to have a fun wine and paint party with your guests. Just don’t forget to take pictures of the process and the finished paintings. To speak with one of our team members regarding our lineup of wines, contact us today.